The Facebook chief executive also said that the social media network does not store data against the users' consent. Users can view and remove their data stored with us and can also stop us from doing so, said Zuckerberg. Facebook CEO Mark Zuckerberg told the US Congress multiple times that Facebook users have enough control over their data on Facebook. He was testifying before the US Congress on matters of data privacy and misinformation for the second day on Wednesday. 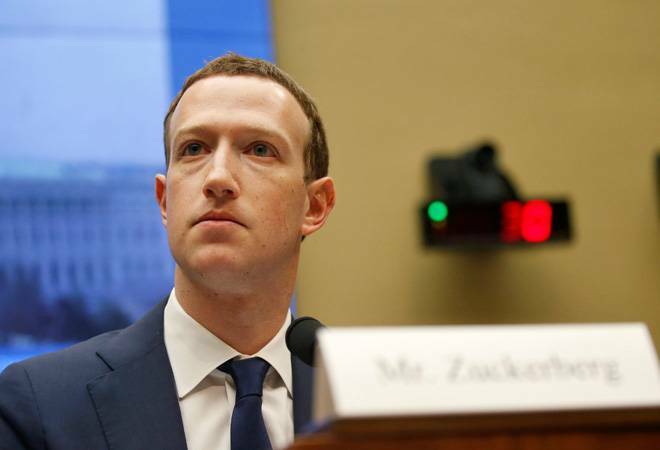 He told the panel that everyone has enough control over the data they share on Facebook in response to several questions from the House panel. "Giving people control of their information and how they want to set their privacy is foundational to the whole service," he said during the testimony before the panel. Earlier, Zuckerberg said that his own personal data was among that of 87 million users on his social network website that was allegedly sold by Cambridge Analytica. Zuckerberg told the US House of Representatives Energy and Commerce Committee that his own data was included in the Cambridge Analytica breach in response to Anna Eshoo, a US Representative for California. On the question from Jan Schakowsky, a Democrat from Illinois, about how many companies did Kogan sell the data from Facebook to, Zuckerberg said that there are a handful of companies who got the user data harvested by Cambridge Analytica and he will follow up. Every Representative was given four minutes to question Zuckerberg during his second grilling by the US Congress, covering everything from Facebook's C-Suite, to political campaigns on the social media platform, and even possible regulating legislation. Zuckerberg visibly had to face more difficult questions today than his tryst with the US Congress yesterday. Facebook has been under fire after a massive data breach threatened personal information of 87 million of its users. This data was scooped up when some 270,000 users took a personality quiz. Even the data of their Facebook friends was accessed by an outside app. Cambridge Analytica then obtained this data and is said to have used it to try to influence elections around the world. Zuckerberg says he believes it is "inevitable" that there will be regulation of his industry. Lawmakers in both parties have floated possible regulation of Facebook and other social media companies amid privacy scandals and Russian intervention on the platform. It's not clear what that regulation would look like. Zuckerberg said at a House hearing today that it is "inevitable that there will be some sort of regulation." But he warned that lawmakers should be careful in what they propose. He noted that larger companies like Facebook have more resources to comply with regulations than small startups.